Although Latinos comprise the largest ethnic group in California, Latino doctors in the state are in short supply, according to recent research from the UCLA Latino Policy and Politics Initiative (LPPI). 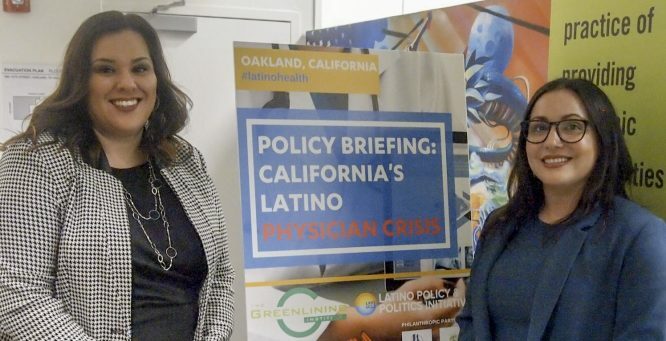 On Jan. 15, 2019, the UCLA Luskin-based think tank co-hosted a discussion in Oakland that brought together doctors, medical practitioners, academics and advocates to discuss California’s Latino physician shortage. 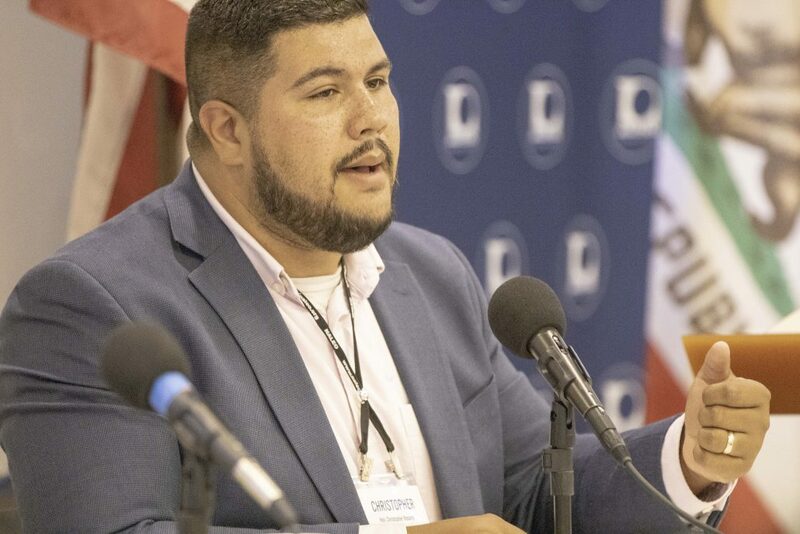 Diaz led the discussion co-hosted by the Latino Coalition for a Healthy California (LCHC) and the Greenlining Institute, which is based in Oakland. 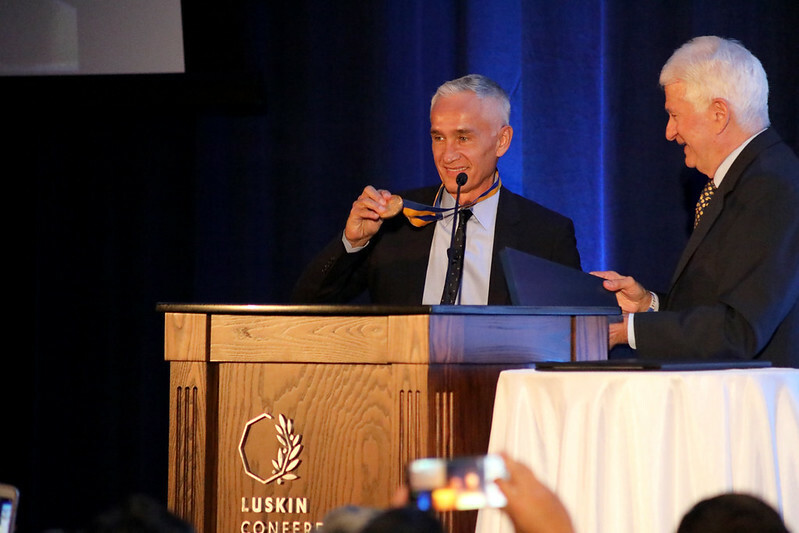 “We graduate about 110 Latino medical doctors every year. If we continue forward, it will take almost five centuries to close the gap,” noted Diaz. That data from the Association of American Medical Colleges is included in the LPPI report, “5 Centuries to Reach Parity: An Analysis of How Long It Will Take to Address California’s Latino Physician Shortage,” which was produced under the guidance of LPPI faculty expert David Hayes Bautista, a distinguished professor at the UCLA David Geffen School of Medicine. 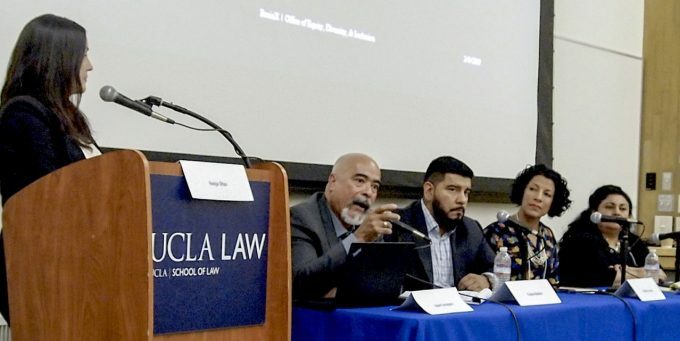 Joining Diaz in debate and discussion were Jeffrey Reynoso, executive director, Latino Coalition for a Healthy California; Arturo Vargas Bustamante, associate professor of health policy and management at the UCLA Fielding School of Public Health and public policy at UCLA Luskin; Carmela Castellano-Garcia, president and chief executive officer, California Primary Care Association; Berenice Núñez Constant, vice president, government relations, AltaMed Health Services Corporation; and Carmen Estrada, MD candidate at the UC Davis School of Medicine. 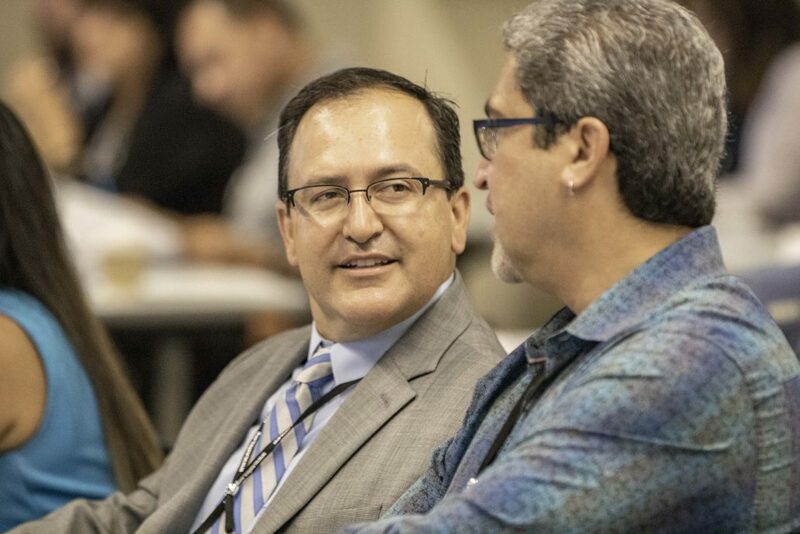 The wide-reaching conversation focused on the shortage’s effects on California’s economy, the needs of medical providers and the shortcomings within higher education that contribute to the shortfall. 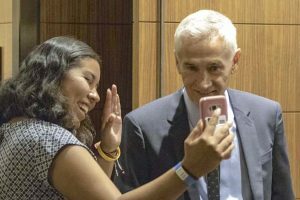 Estrada spoke about her personal experience of being one of the limited number of Latinos currently pursuing a medical degree. Estrada’s first-hand experiences traced her personal journey to medical school from a California State University and the lack of outreach that she said created unnecessary challenges in her career choice. Núñez Constant shared that although her organization, AltaMed, is constantly looking for Latino physicians, “The supply is just not there.” She also highlighted the difficulty of retaining a Latino physician in such a competitive job market. 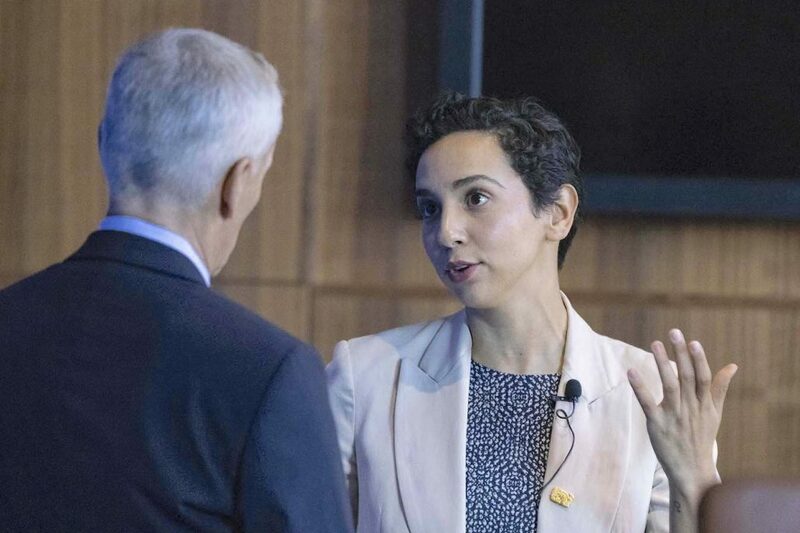 Vargas Bustamante’s research supported Núñez Constant’s comments on workforce recruitment. Bustamante said he has found a substantial pipeline problem for Latinos in their transition from high school to college and their transition from college to medical school. 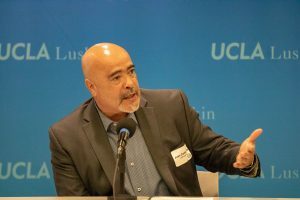 Based on his interviews with Latino pre-med students, medical school applicants, Latino medical students and recently graduated Latino physicians, Vargas Bustamante said students who may have an interest in the field often feel discouraged by the lack of investment to recruit and retain Latino students. 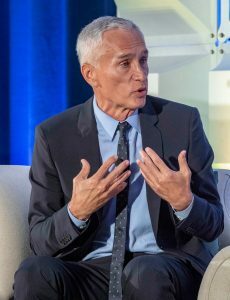 Many then choose another career. 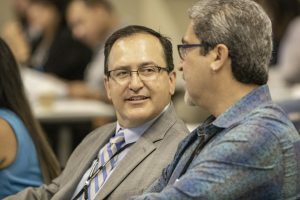 The panel agreed that this complex issue requires a strategic collaboration of California policymakers, medical providers and academia to form solutions. 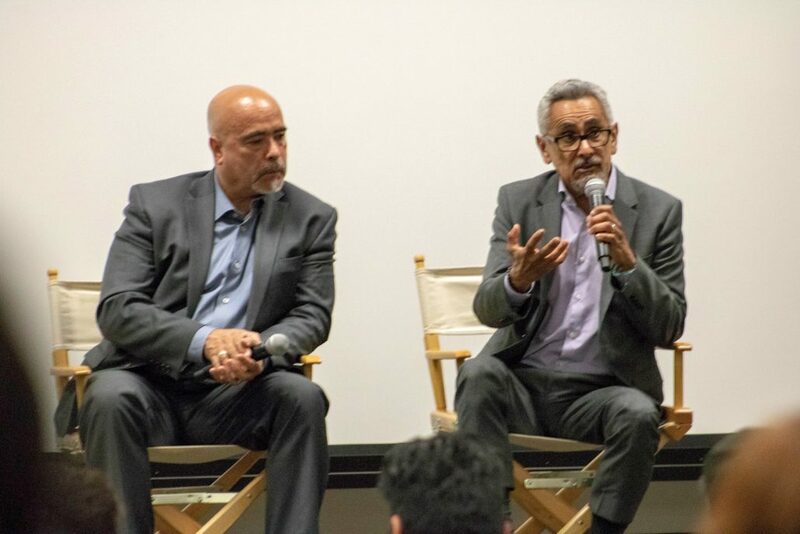 To learn about California’s Latino physician shortage, visit latino.ucla.edu/health. 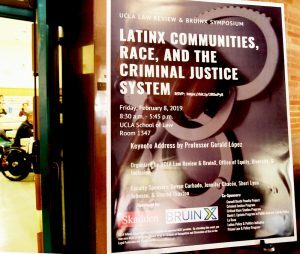 A recent gathering at UCLA Luskin included a full-day of programming related to efforts to advance visibility on the experience of Latinos in the criminal justice system across the United States. 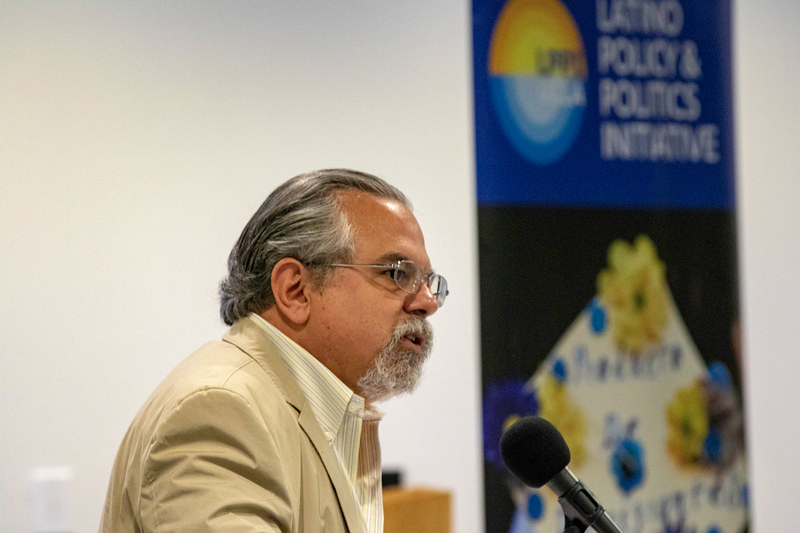 Dozens of experts and scholars on Latino issues at the local, state and national levels gathered on campus May 31, 2018, for a day of presentations and workshops organized by the Latino Policy and Politics Initiative (LPPI) and LatinoJustice PRLDEF. 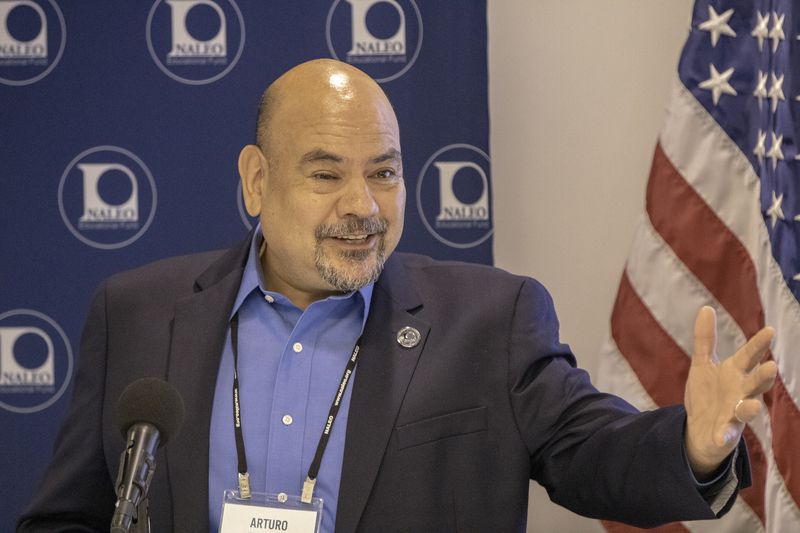 Attendees included a number of nationally known advocates for Latinos, including LatinoJustice President Juan Cartagena. 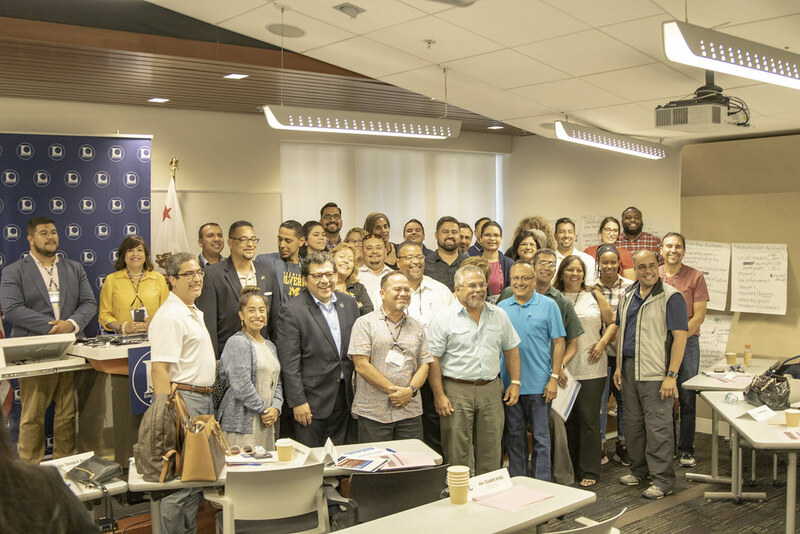 The sessions began with an introduction from Dean Gary Segura, who was also one of the participants in a high-level strategy workshop focusing on Latino civil rights and the U.S. criminal justice system. 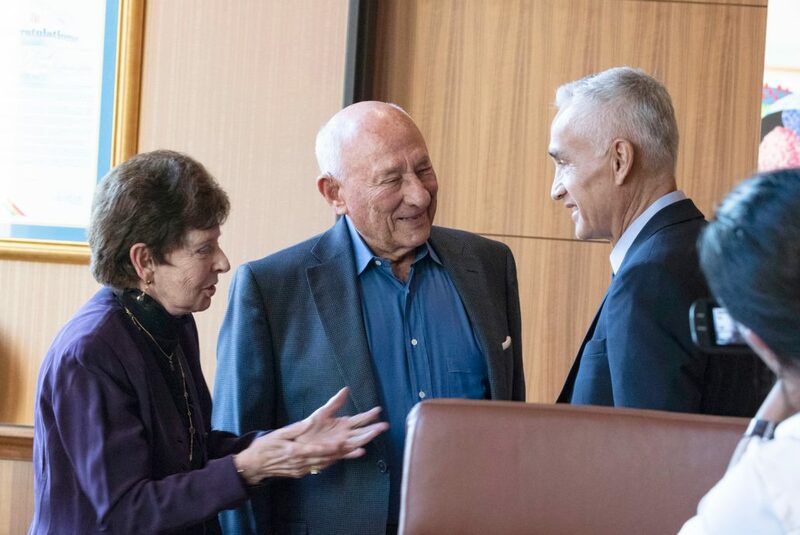 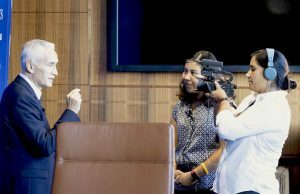 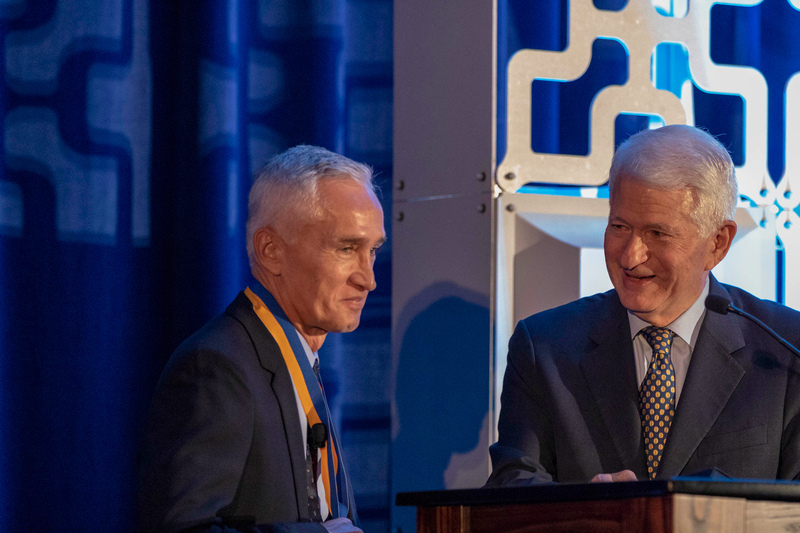 He told attendees that he helped found LPPI in part to address a shortfall in research about issues of importance to Latinos, including inequalities in the criminal justice system. 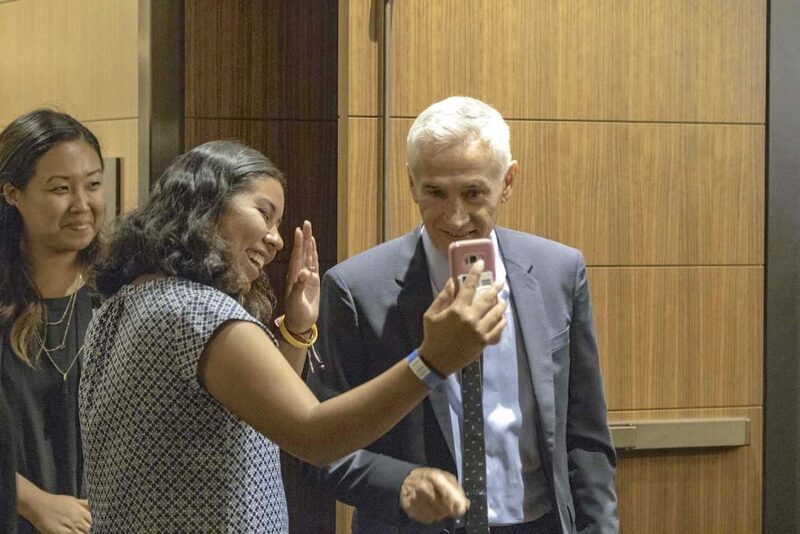 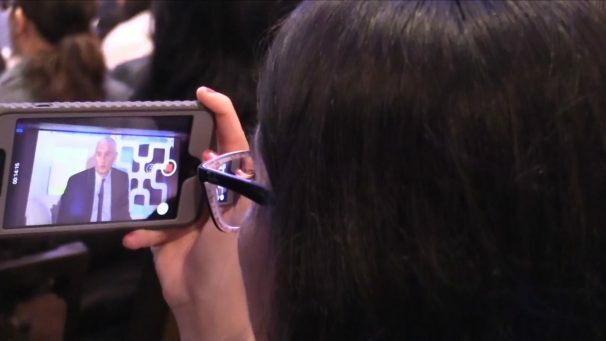 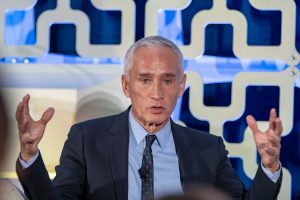 “People across the ideological divide agree that this is an issue for the Latino community,” said Segura, who said he hoped the day would provide an opportunity for attendees to “think constructively about the things that have to happen” in order to bring about change. 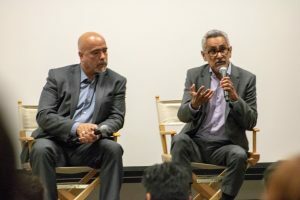 A discussion hosted by LPPI’s founding director, Sonja Diaz, followed with Cartagena and Matt A. Barreto, a professor of political science and Chicana/o Studies at UCLA and the other co-founder of LPPI. They zeroed in on the fact that national discussions have historically downplayed the impact on Latinos of criminal justice policies related to policing, mass incarceration or unequal rates of prosecution. 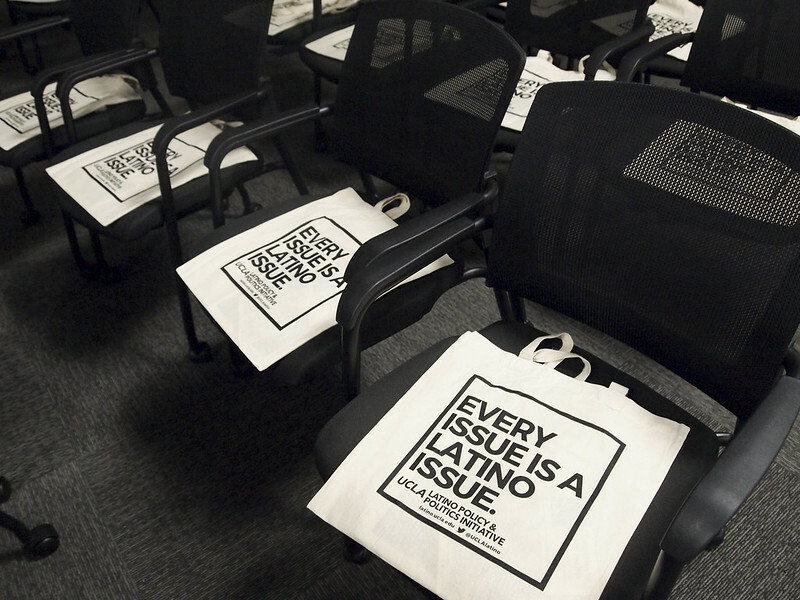 For example, the U.S. Census has historically grouped Latinos with whites in its tabulations based on ethnicity. And this shortcoming has been replicated in much of the research at the state and local levels. Discussions like this one continued for several hours, and participants had an opportunity to hear from wide range of people — scholars, policymakers and community advocates. 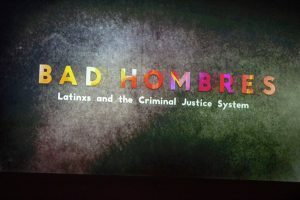 That evening, the participants viewed a sneak peek of the in-progress documentary, “Bad Hombres,” by award-winning filmmaker Carlos Sandoval, and then heard from the director, Cartagena, UCLA lecturer Virginia Espino, and from some of the people featured in the film. 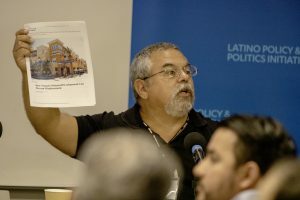 The new think tank at UCLA known as the Latino Policy & Politics Initiative (LPPI) has moved quickly to bring together scholars and policymakers to share information that can help political leaders make informed decisions about issues of interest to Latinos. 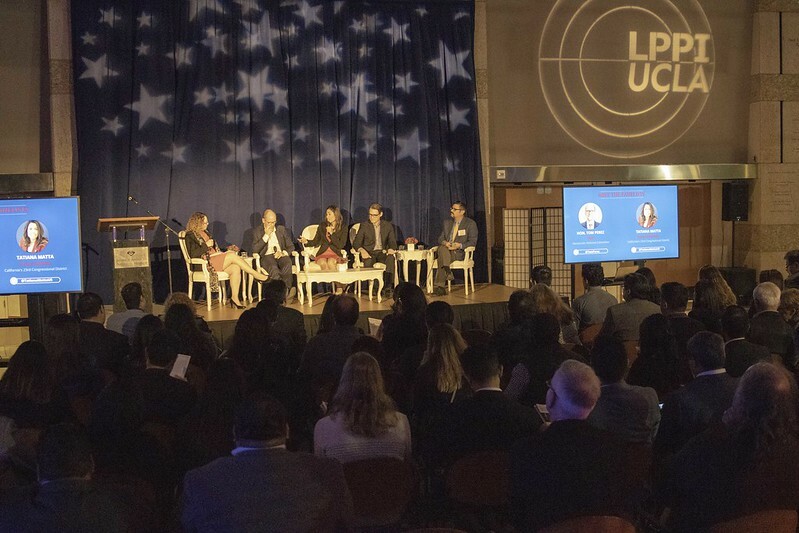 One of the goals of LPPI, which received its startup funding from the UCLA Luskin School of Public Affairs and the Division of Social Sciences, is to provide better access to information to help leaders nationwide craft new policies. 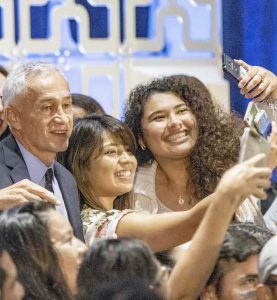 “It is impossible to understand America today without understanding the Latino community and the power that it wields. 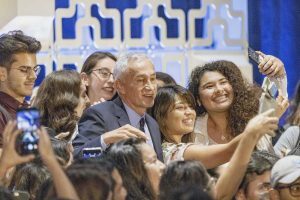 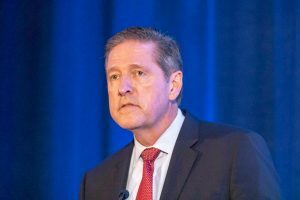 And this institute is going to do that,” Scott Waugh, UCLA executive vice chancellor and provost, told the crowd at the official launch of LPPI in December 2017. 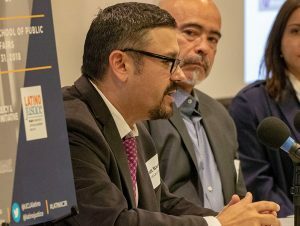 Representatives of the UCLA Luskin School of Public Affairs and throughout UCLA were among a crowd of about 175 people that also included elected officials, community activists and other stakeholders who gathered in downtown Los Angeles. 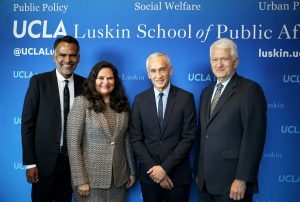 The co-founders of LPPI — Professor of Political Science and Chicana/o Studies Matt Barreto, UCLA Luskin Dean Gary Segura and LPPI Executive Director Sonja Diaz MPP ’10 — “have a vision that reaches not just inside the School of Public Affairs but reaches out across the campus in areas like health, education, science, the arts — wherever Latinos have made a difference and continue to effect change in a profound way,” Waugh said at the launch event. 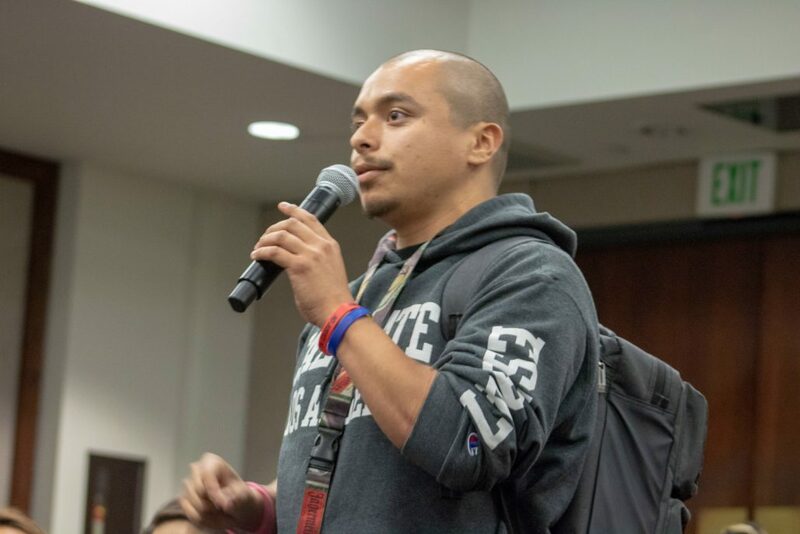 An empirical analysis of Fruitvale Village in Oakland, California, that assessed aggregate census tract socioeconomic outcomes to evaluate changes for those living there compared to those living in similar communities in the Bay Area. 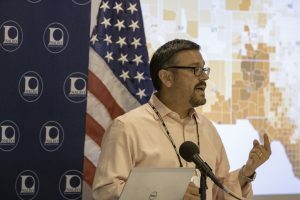 A state-by-state analysis of Latino homeownership, plus data research on national disasters and the Deferred Action for Childhood Arrivals (DACA) program for the 2017 Hispanic Homeownership Report issued by the National Association of Hispanic Real Estate Professionals (NAHREP). 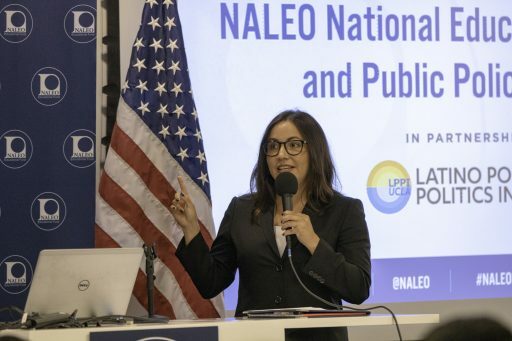 Gabriela Solis, a UCLA Luskin MPP and MSW student whose focus at LPPI is on housing and displacement, provided some of the information in the NAHREP report, working from raw Census data. 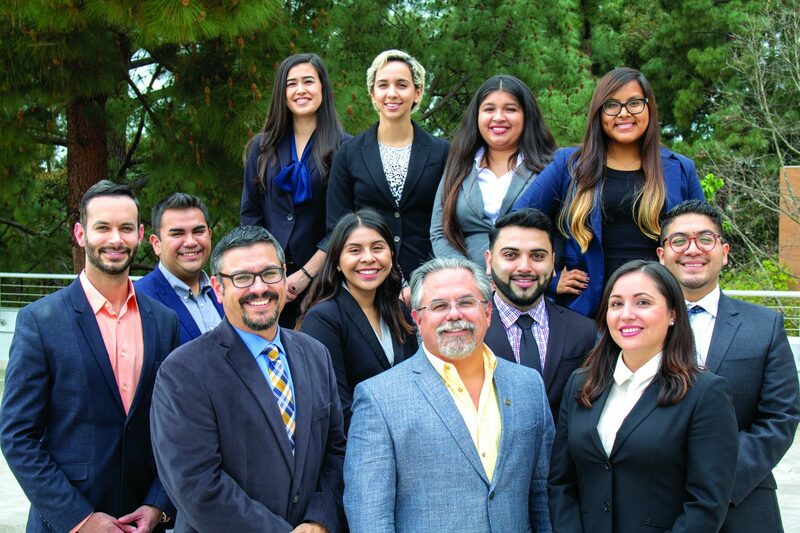 Several students also traveled to Sacramento in February, during which LPPI visited legislators and their staffs, and presented applied policy research before the California Latino Legislative Caucus. 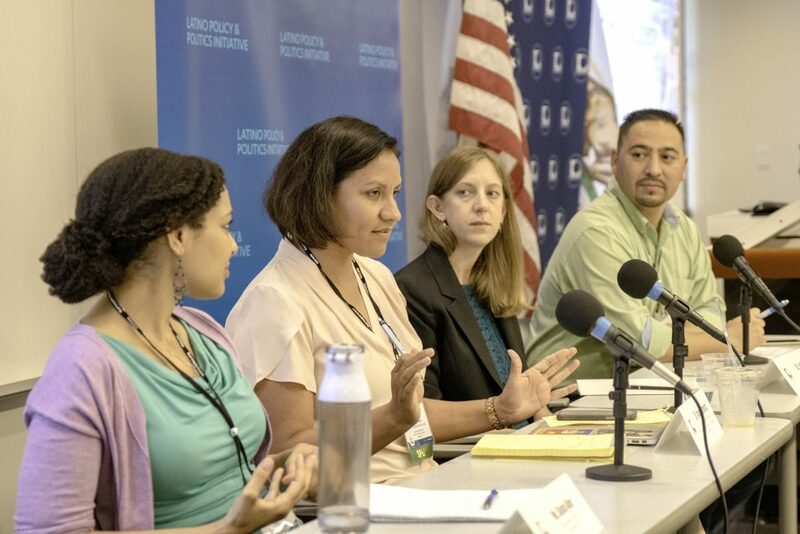 LPPI’s inaugural Sacramento legislative briefing included research on three policy areas: the Latino Gross Domestic Product; Criminal Justice and Bail Reform; and the impact of Social Science Research on DACA litigation. 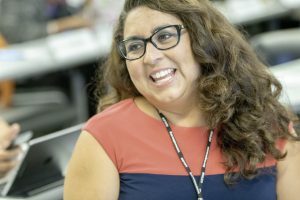 Sofia Espinoza MPP ’18 was also a Monica Salinas fellow during her time as a student. 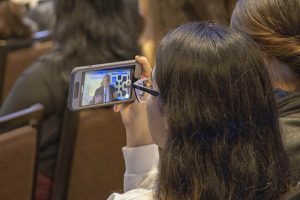 She focused on criminal justice in her schoolwork, so joining the effort in Sacramento dovetailed nicely with her interests. 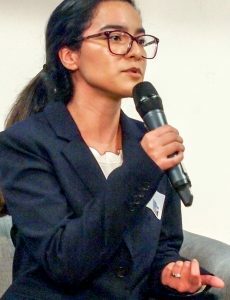 Celina Avalos, wan undergraduate student in political science, served as special projects associate for LPPI during the 2017-18 academic year. 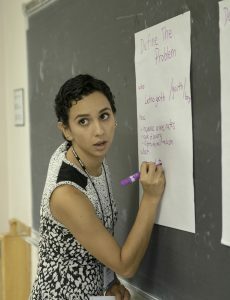 The undergrads also see first-hand what it is like to be a graduate student involved in impactful research efforts. 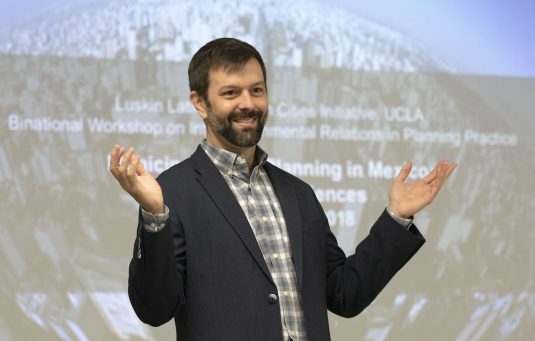 The inspirational potential of LPPI was an important motivation for Segura in getting the new research center underway and finding a home for it at UCLA. 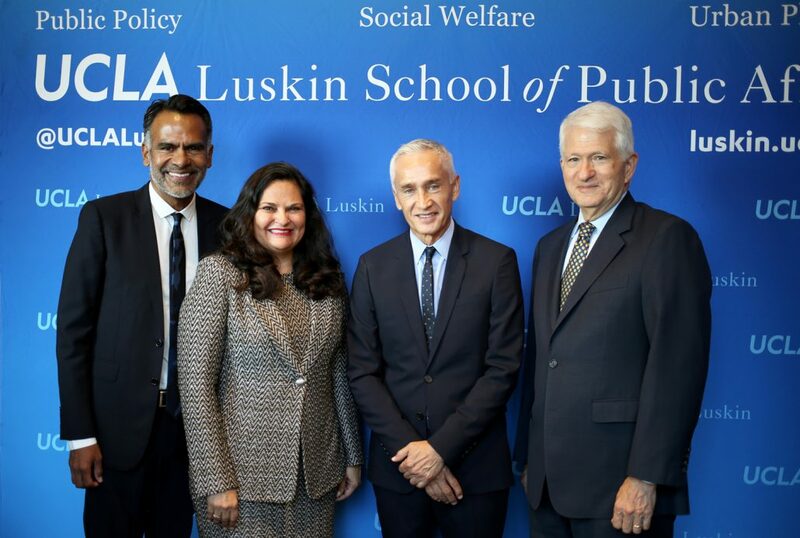 Segura, who secured approval to hire additional UCLA Luskin faculty members with expertise in Latino policy, said the day-to-day work being done by LPPI helps bolster UCLA’s capacity to provide role models for its Latino students. 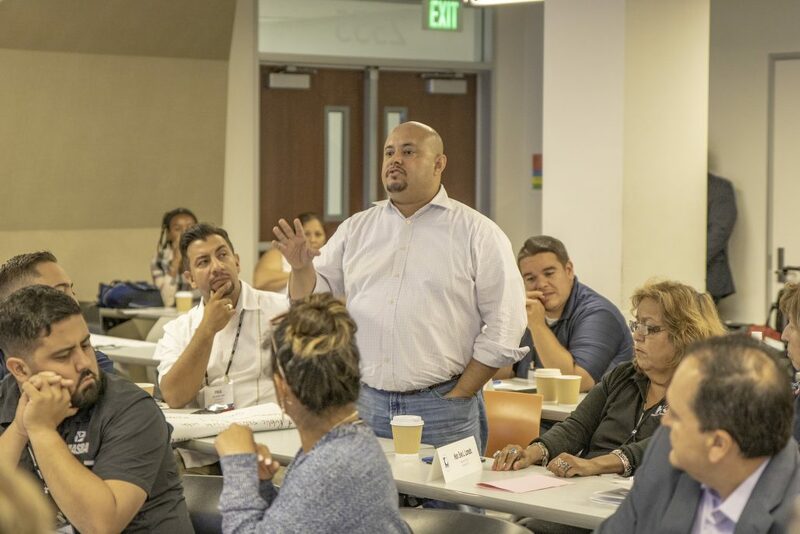 The students fully embraced LPPI’s goal to advance knowledge about Latinos through work that actually involves Latinos themselves. 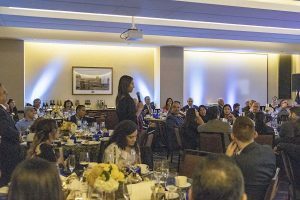 For more information about how to support LPPI, contact Ricardo Quintero at (310) 206-7949 or by email at rquintero@luskin.ucla.edu. 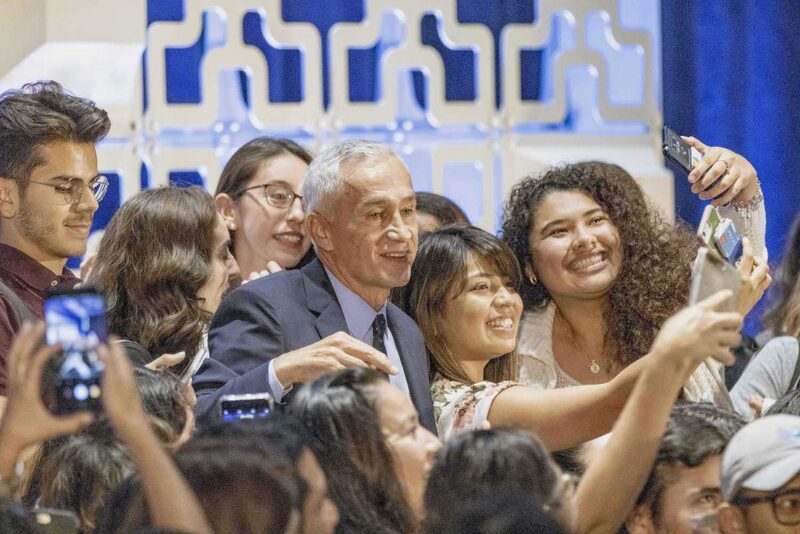 A version of this story also appeared in the Summer 2018 edition of Luskin Forum magazine.